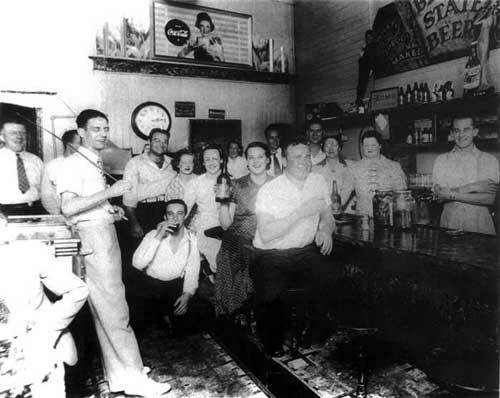 The Log Front Tavern was located at 4433 NE Union at the intersection with NE Prescott. This establishment was owned by Roy Kiltow and his wife. Derring, Roy Conrad. Email on 10 Apr 2012 citing reference to a newspaper article on the Log Front Tavern. Last updated July 4, 2017.